Burundi: Will Nkurunziza step down in 2020? Burundi’s long-serving President Pierre Nkurunziza announced on Thursday that he would not run for another term, easing fears of new violence in the impoverished country after a referendum on term limits. Nkurunziza was widely expected to take advantage of recent changes to the constitution to stand for two more terms – raising concerns that Burundi would see a repeat of deadly unrest that erupted after he stood for the third time in 2015. “I will not go back on my word. Our mandate ends in 2020,” Nkurunziza said in a speech to supporters and diplomats in the central region of Gitega. In a referendum last month, more than 73 percent of Burundi’s 4.7 million voters approved changes to the constitution which extended the length of the president’s term from five years to seven. 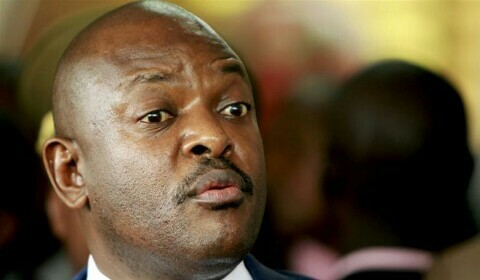 That could allow the 54-year-old Nkurunziza, in power since 2005, another 14 years when his current term expires in 2020.
he said in the speech broadcast on state television. The violence that erupted in 2015 shook a region still haunted by the 1994 genocide in Burundi’s neighbour, Rwanda . The president’s announcement brought scepticism from some in the opposition. “I think the message is for his own people and not the public. He has lied to us since long ago,” Frederic Bamvuginyumvira, a former vice president who leads the opposition party Sahwanya-FRODEBU, told The Associated Press. The opposition had alleged intimidation and harassment of people who did not support the amendments ahead of the May 17 referendum, including threats of drowning and castration. A presidential decree criminalised calls to abstain from voting, with a penalty of up to three years in jail. The government rejects allegations of abuses, describing it as propaganda by exiles.